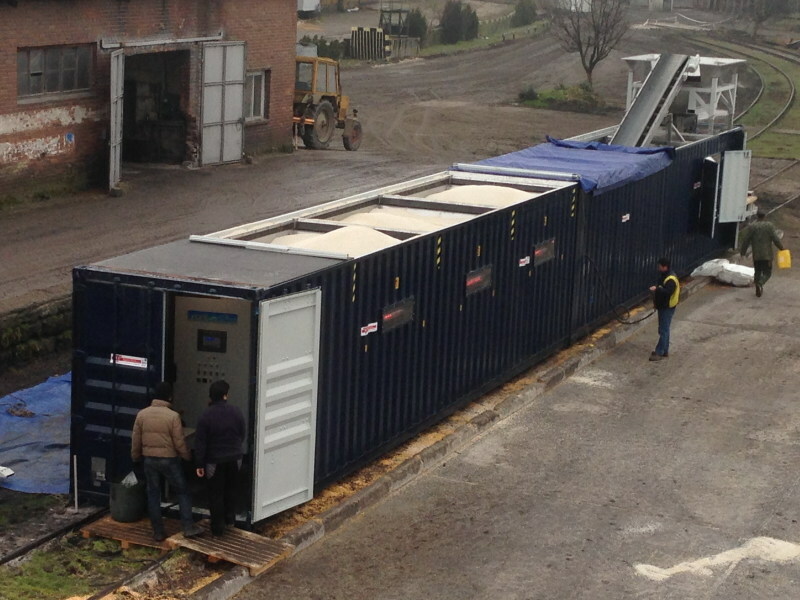 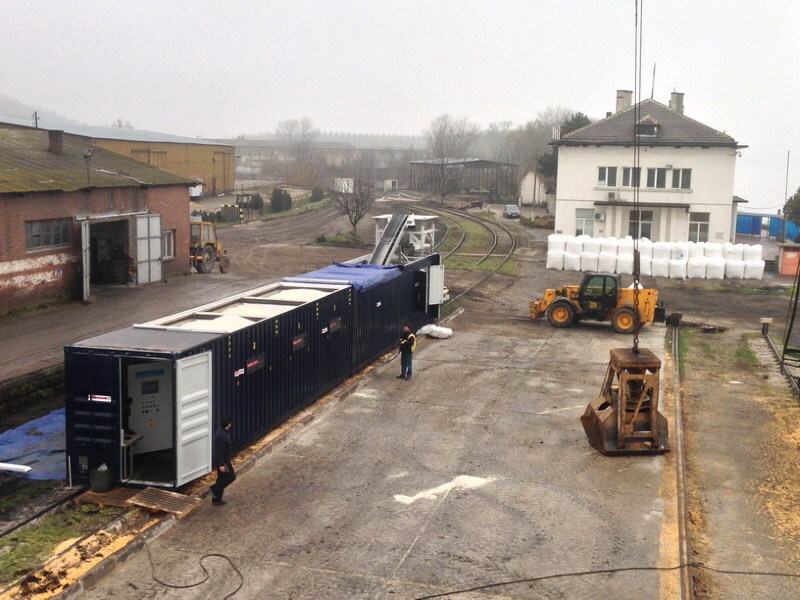 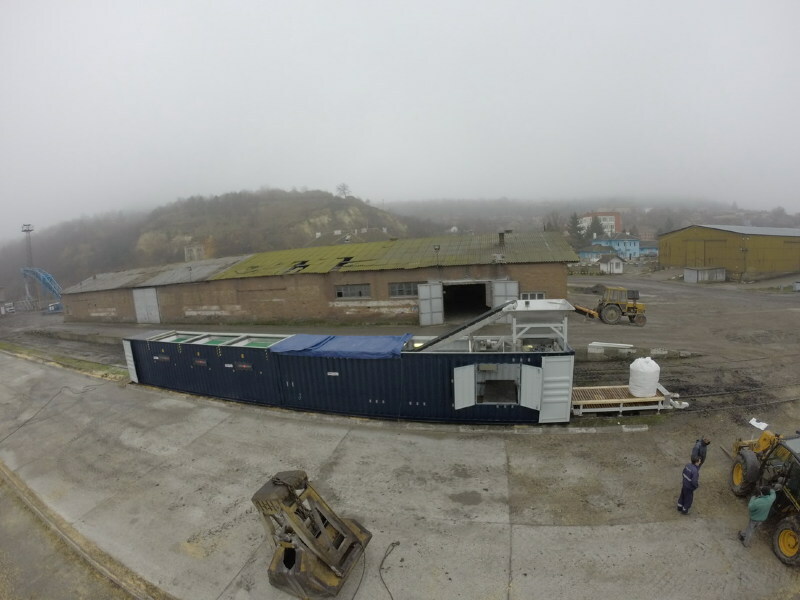 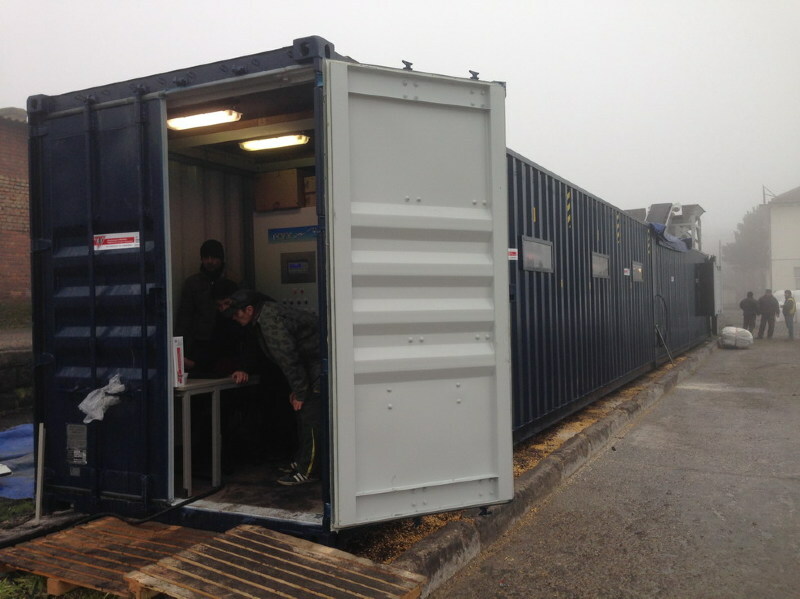 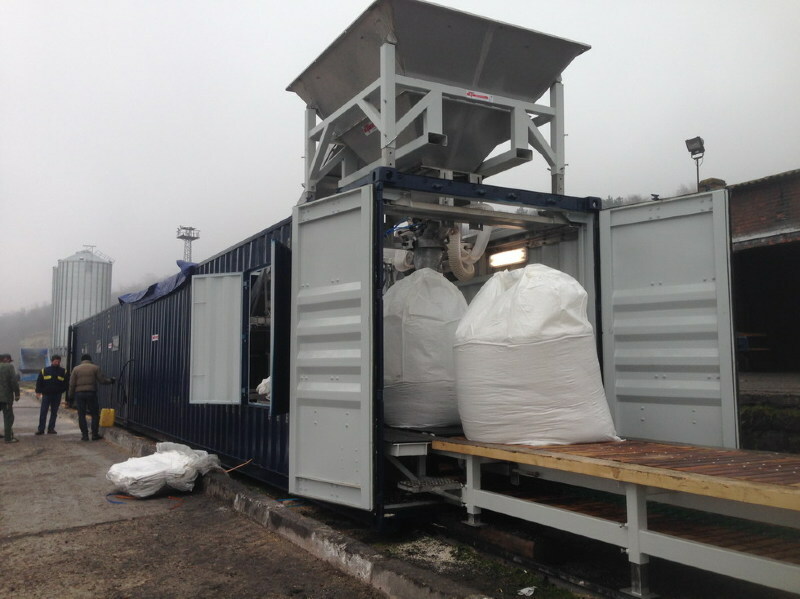 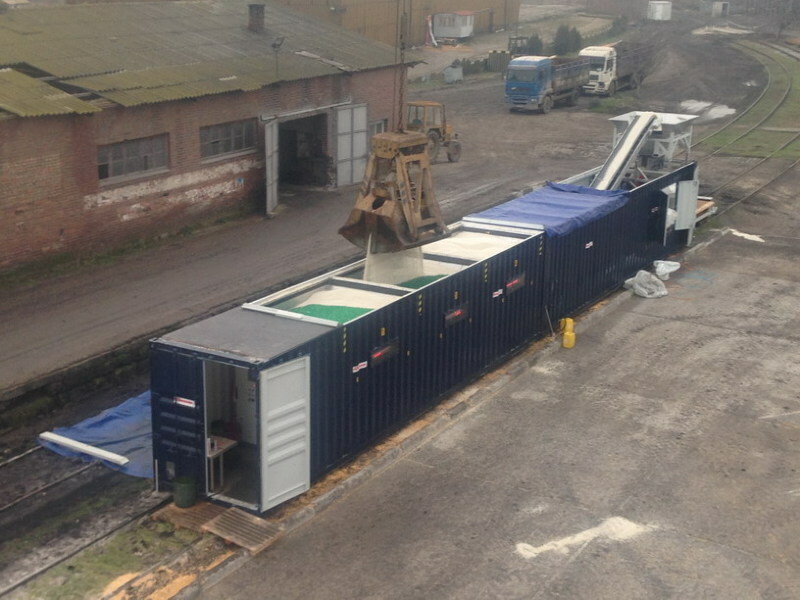 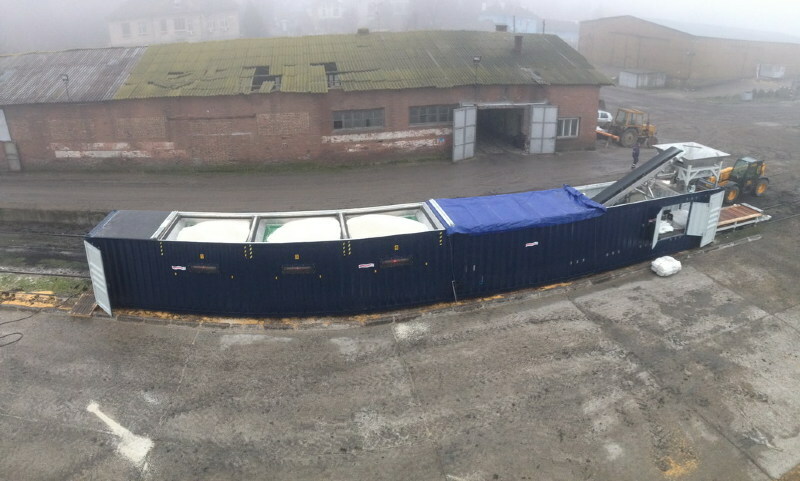 The machine is integrated in a container and movable by normal trailer. 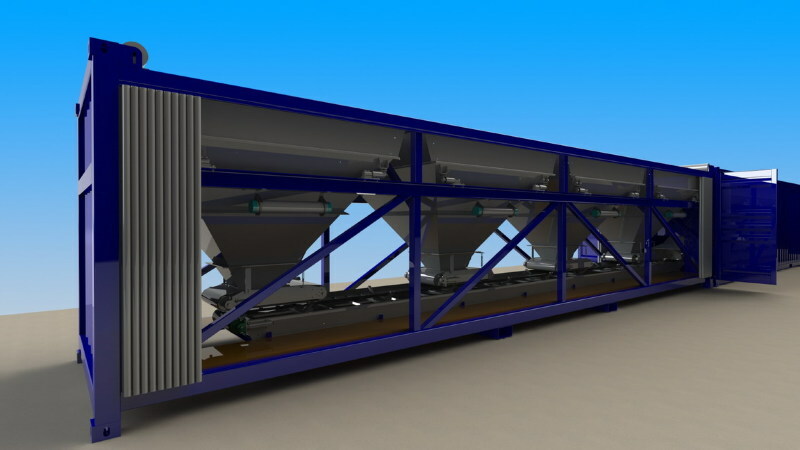 Maximum 5 hoppers, full automatically blender line. 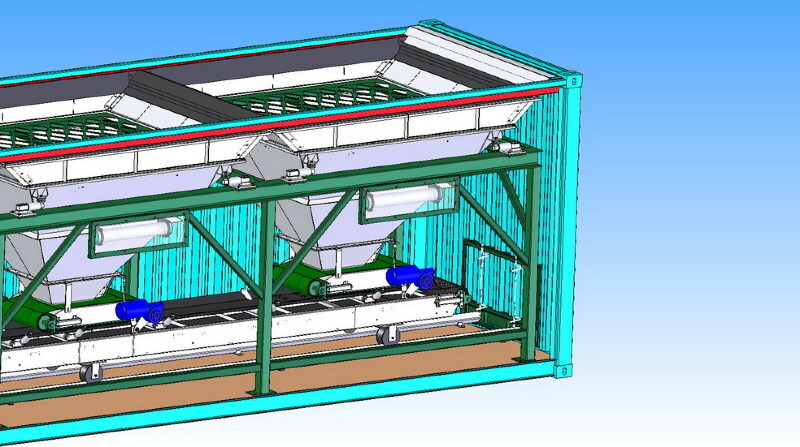 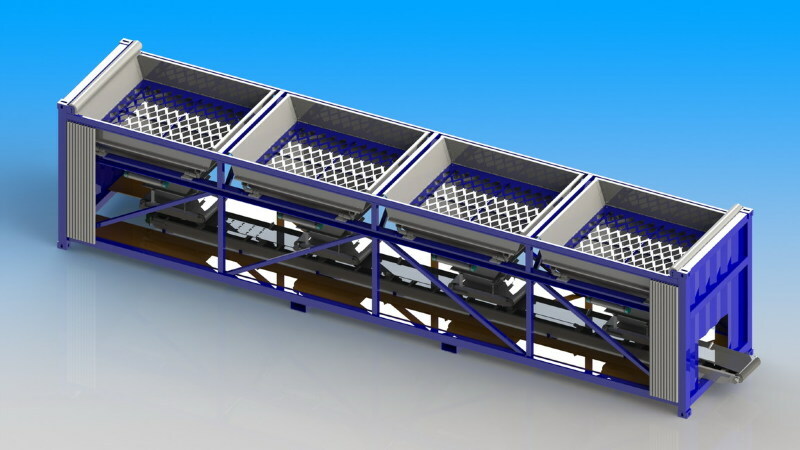 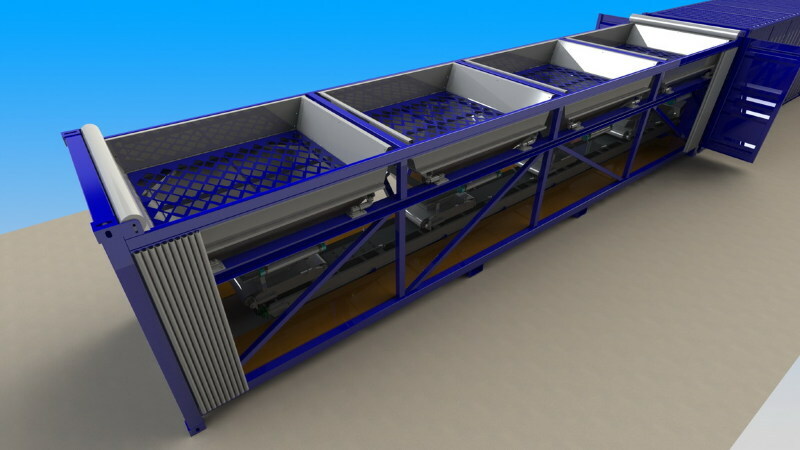 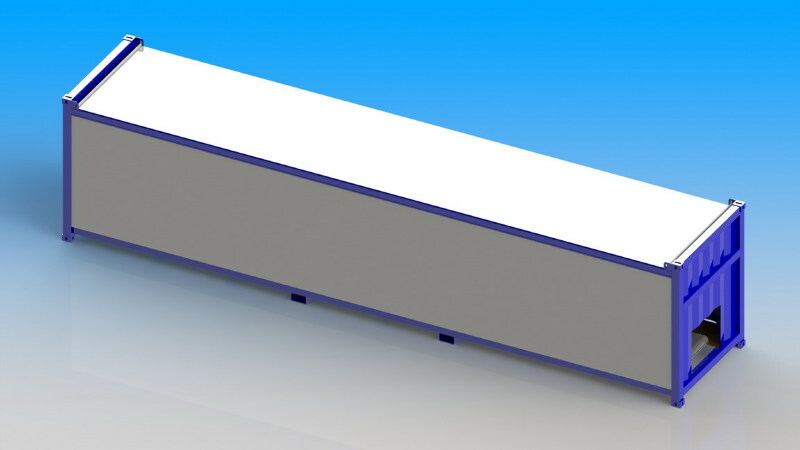 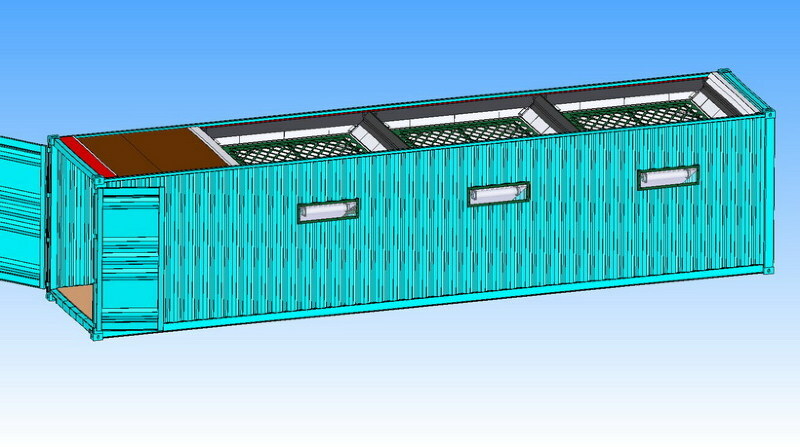 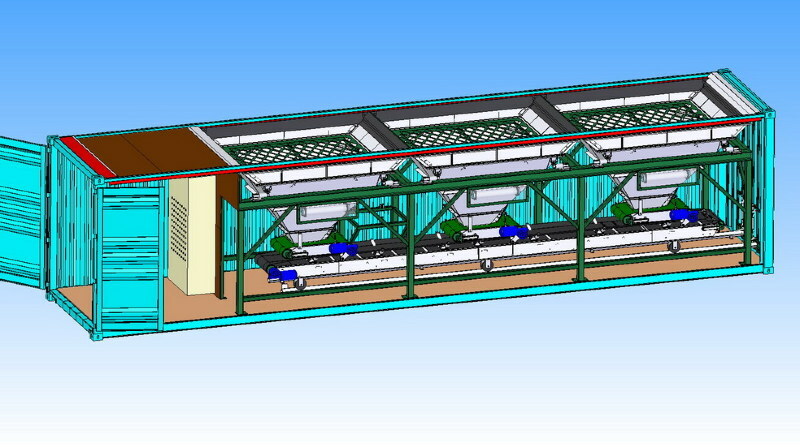 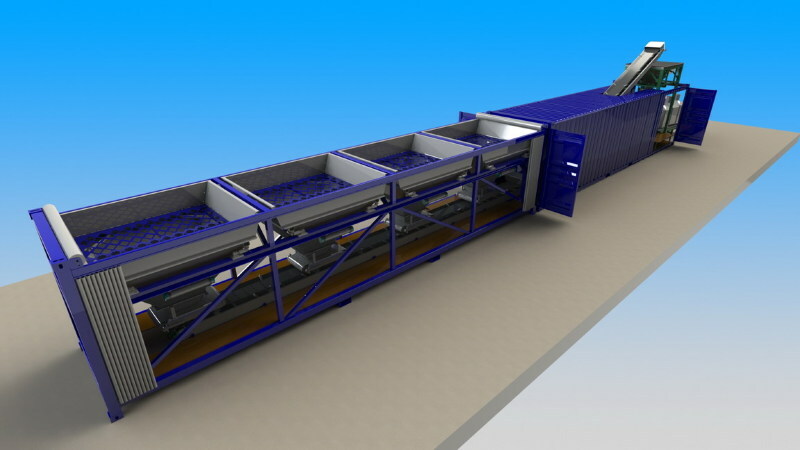 The machine can be produced with a maximum of 5 hoppers with a capacity of 5 ton per hopper.